If language is a virus, as William Burroughs famously asserted, then Samuel Johnson’s top floor "dictionary-workshop" was an intensive incubator for English. 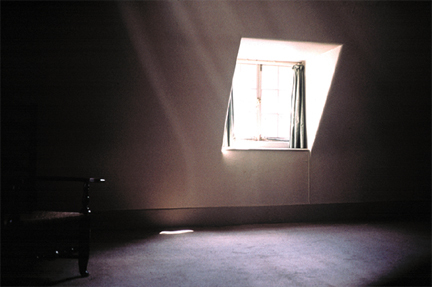 In this installation, an image of a window in the London room where Johnson wrote the first dictionary of standard English is projected on one wall. A recorded voice reflects on the circumstances that brought the dictionary into being, on Johnson’s personal relation to it, and on the complexities of language as reflected in dictionaries. The voiceover that accompanies the work is spoken in the language of the location where it is shown, and attempts to question the growing hegemony of English as an "international language."